They say that if you have a boat and don’t have a list of stuff to work on you’re not paying attention. 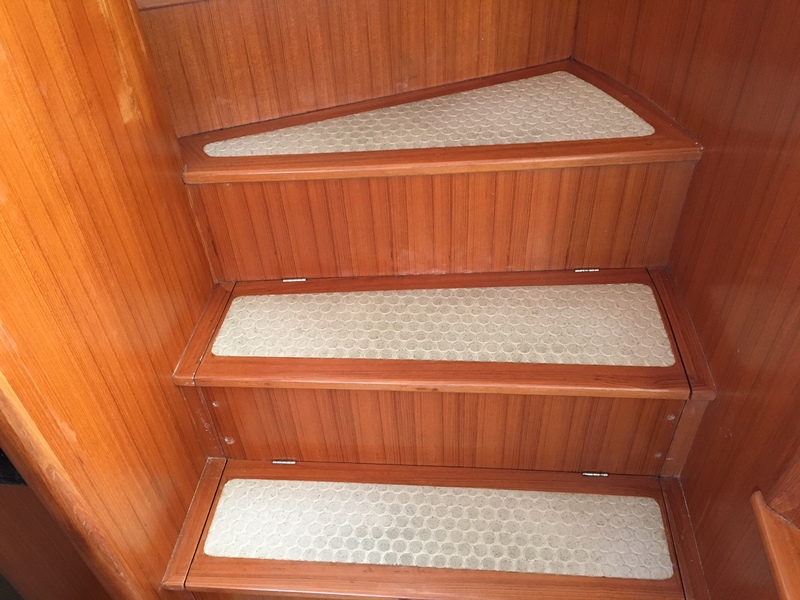 When we are not on the boat we leave the AC in the pilot house on and turn the rest of the zones off; run a couple of dehumidifiers to keep the inside dry. A few weeks ago I showed up, fired up the AC in the salon and quickly realized that one of the air handlers was not, well, handling air. 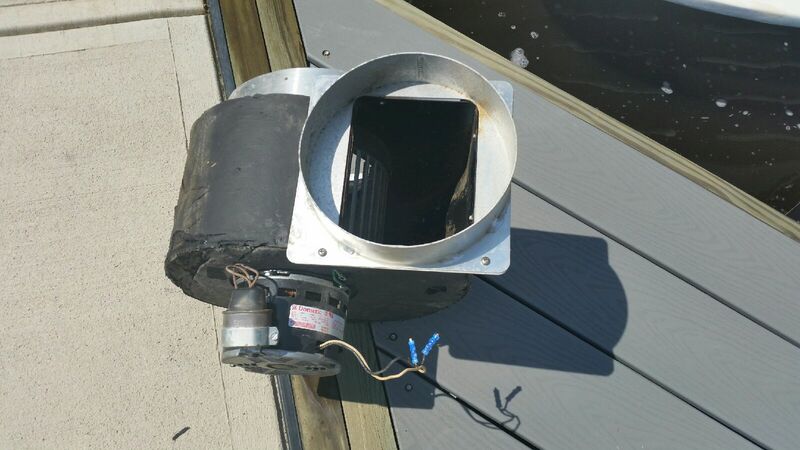 Did some quick diagnostics and determined the fan was shot. We took the fan out hauled it off to get it replaced. 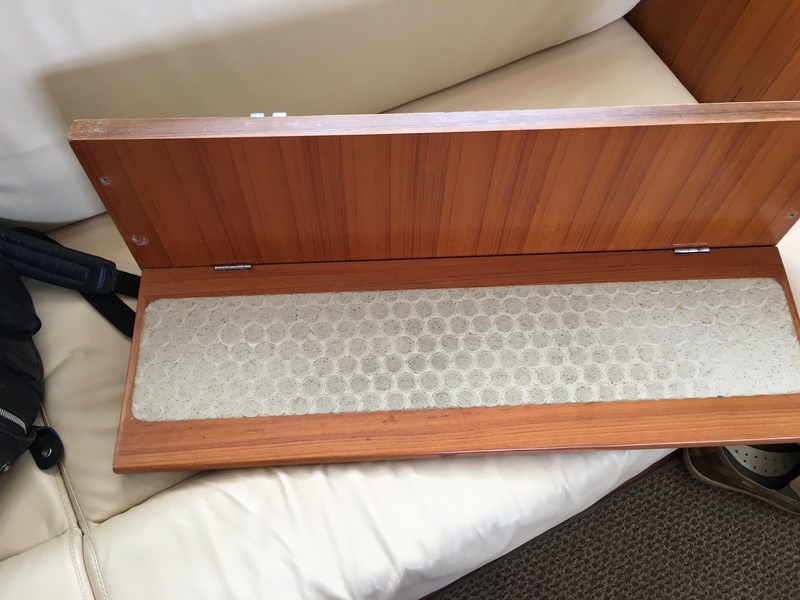 When we got it back it was a pretty straight forward process to install it. 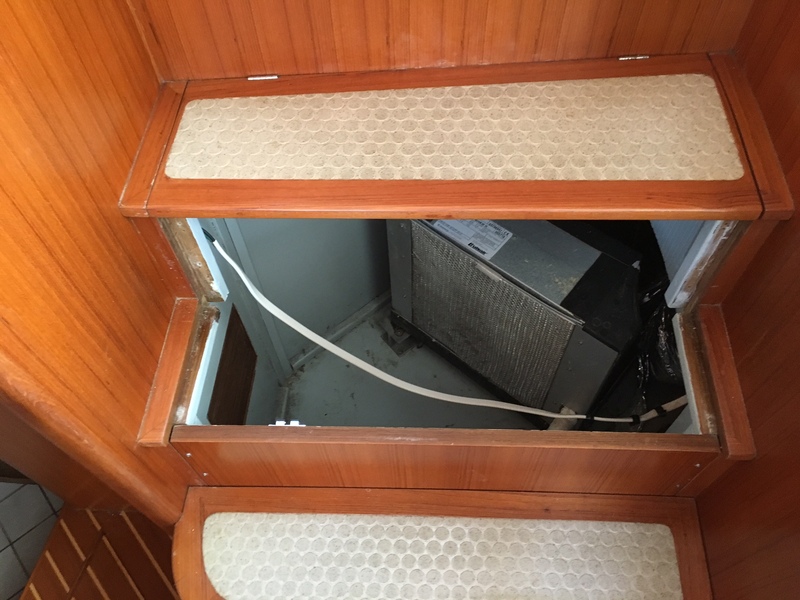 This particular air handler is under the stairs leading to the pilot house, so first step is to remove some of the steps! 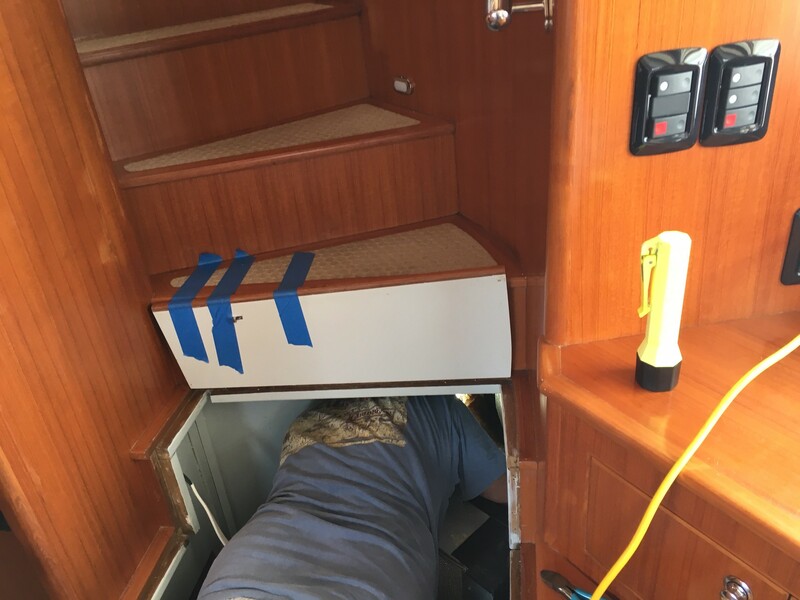 We made some room for the captain who crawled in, got everything installed and wired and soon we had full AC functionality back in the salon, just in time for charter guests and the 90+ degree weather we’ve been experiencing on the NC coast.